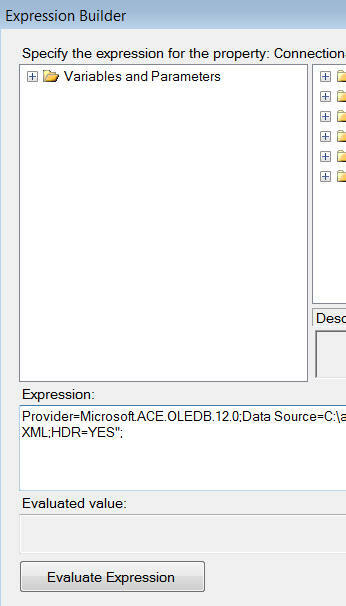 A connection in SSIS points to a fixed file or database ... right? Well actually, it doesn't have to; this blog explains by example how to make your connection strings dynamic. 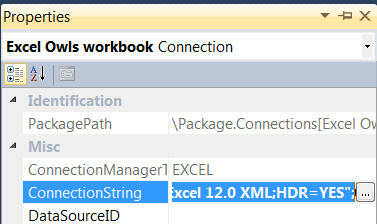 You can work through this blog yourself by downloading and unzipping these 2 workbooks, although you'll need to know a bit about SSIS packages too. The package could look something like this. 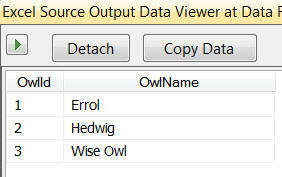 The data viewer displays the list of owls found. 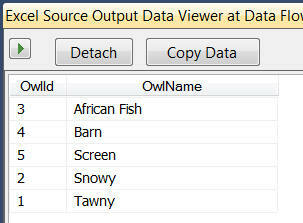 I've called my variable OwlFile, and set its initial value to be Genuine. The idea is that you'll be able to change the value of this variable from Genuine to Fake, and you'll then import a different set of owls. You could vary this to make the variable a parameter, in which case you'd be able to run the package from your production server, varying the file imported each time. 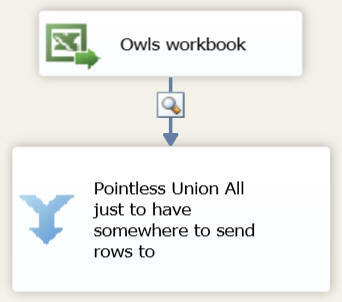 Right-click on the connection to the fixed Excel workbook, and choose to change its properties. Copy the text in the ConnectionString property. Click on the build symbol to the right of the Expressions property. Choose the ConnectionString property from the list, and click on the build button to set the expression for this. Paste your connection string into the box. 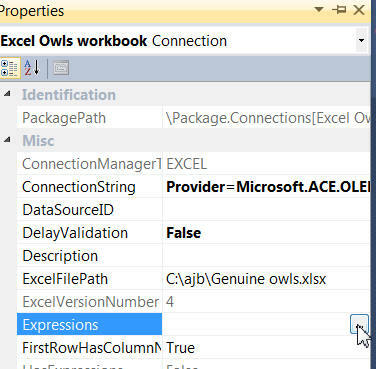 "Provider=Microsoft.ACE.OLEDB.12.0;Data Source=C:\\ajb\\" + @[User::OwlFile] + " owls.xlsx;Extended Properties=\"Excel 12.0 XML;HDR=YES\";"
You must escape the backslash and double quote characters (precede each \ and " character with the \ character, to show they're special characters). Click on this button to check that your expression is valid (if no error message appears, it is). This time we're going for the fake owls. This time we import the fake owls. Note that everything shown above applies equally to SQL Server and other connection strings!